Ghai For his upcoming adventure comedy, Total Dhamaal, the third instalment of his popular comedy franchise director Indra Kumar has recreated the popular hit ‘Paisa Yeh Paisa’ from the movie Karz. 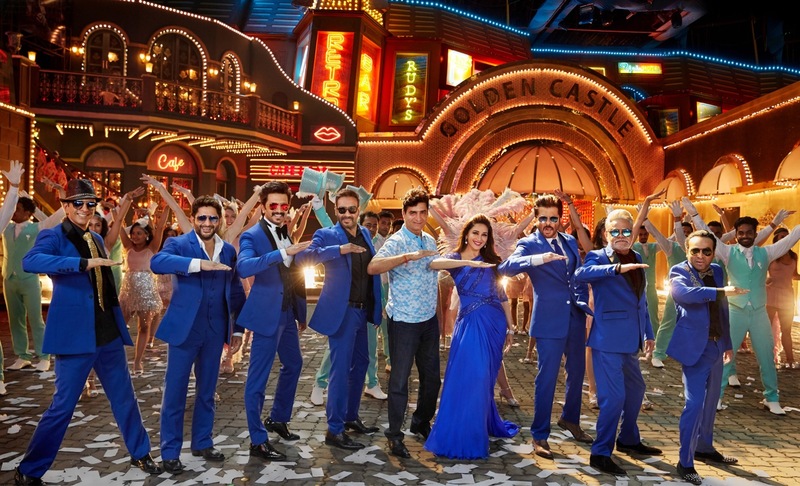 The song features Madhuri Dixit and Anil Kapoor, who had a great time matching steps to the yesteryear hit. For this incarnation of the song also features the rest of the cast Jaaved Jaaferi, Arshad Warsi, Riteish Deshmukh, Ajay Devgn, Indra Kumar, Sanjay Mishra and Pitobash dancing to the classic beat.